The last week has been great fun spending time with some of my team. On Sunday we met up with 50+ other Demonstrators in our larger team of Pinkies, headed up by the lovely Michelle Last. The meeting was local to us, so I invited my team to join me for a morning coffee at at our local coffee shop. Here are some of us after our first round! It was a fun filled, action packed day, with a chance to catch up with old friends, make new ones, plus plenty of crafting, coffee and cake ! Then on Tuesday of this week we had our own Team meeting held locally. 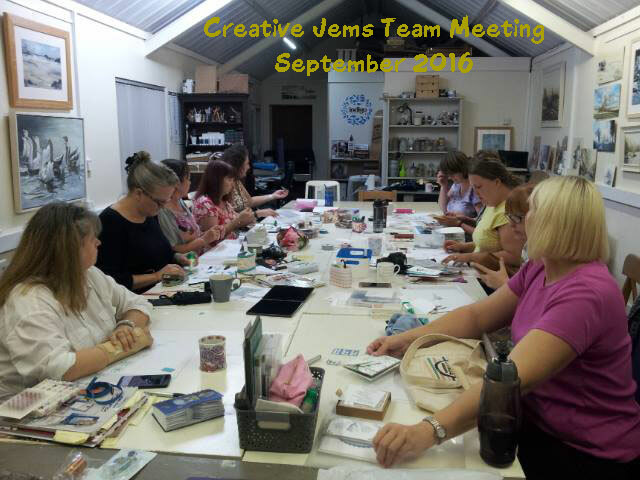 It is an opportunity to meet up with new team members, making sure everyone is up to date with the latest news and special offers - and of course a chance to craft! 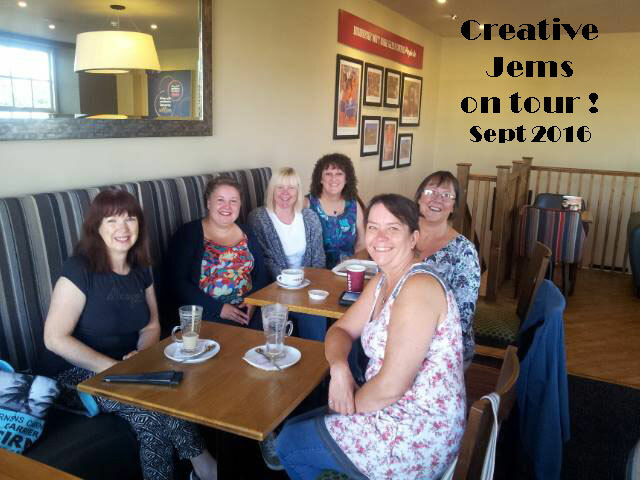 I always welcome new members to our team, whether you are local or not, and whether you want to be a hobby or business crafter. ANYONE can join our team, you just need to buy the discounted starter kit which is just £99 [for £130 of craft products of YOUR CHOICE]. Click on either of the photos above to join our team. Or comment or email me for details. or you can send the paperwork by post if you prefer. You could be with us at our next meeting on 11th October.